Hi guys! Today I am back with a question and answer styled blog post, where I recently asked on Instagram for some questions that you all would like me to answer on here! If you don’t follow me on Instagram already, then you can find me over at Coffee With K. I usually ask questions on my stories there and post a lot of my photos, so if you fancy giving that a nosy then feel free to check it out! I’ll just get started with some of the questions you all asked me! What’s your favourite post you’ve done so far? 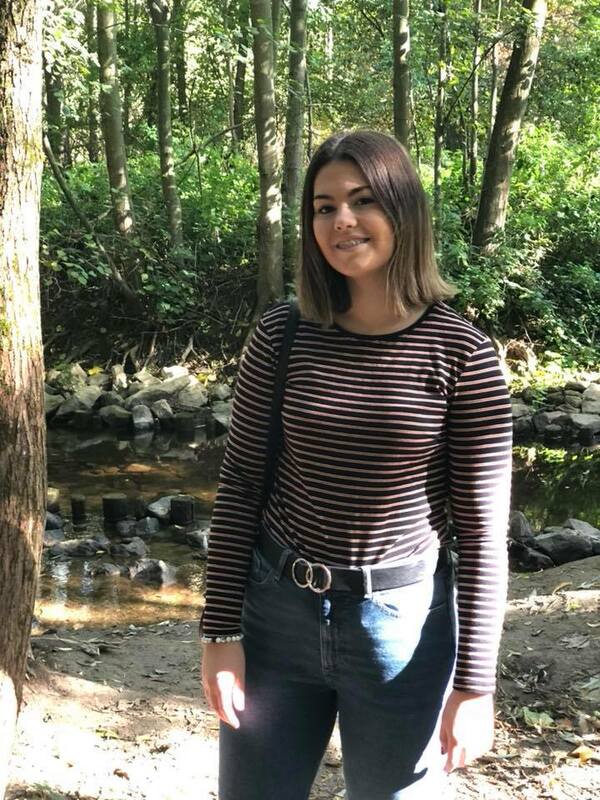 I enjoy writing a lot of my blog posts, but I think for me my top two favourites would be my Striped Trousers Edit I did during Summer and my recent Letter to my Younger Self! I had fun taking the photos for my trouser edit and styling the outfits. I also enjoyed being a bit more creative with my letter post, and it was fun to think about what I would tell my younger self! Do you prefer Autumn in Hannover or Scotland? Its currently October and I feel like Autumn here in Hannover is only just starting to creep in. We’ve had a few rainy days but we’ve also had warm days. Last weekend it was over 20 degrees still, which is like a Scottish Summer haha! So I can’t really say so far, as I’m still waiting on Autumn to begin. If it stays like this then I definitely would say I prefer a Scottish, crisp Autumn. Do you miss the Scottish weather? No, not really! I’m quite happy with the weather here for now! It has to be some girly, old song that would get me and my gals up dancing. Maybe a wee bit of I Wanna Dance with Somebody. If that comes on in the club, it doesn’t matter where we are, we are heading to the dance floor straight away. Oh god, thats hard! I have so many favourite memories but for different reasons haha! I think one of them would have to be when we got our dog Ash. I was about five or six, my Mum and Dad didn’t tell us we were getting a puppy. I came home one evening from my friends house (which was probably, most definitely planned for me to go there…) and there was this tiny little black fluff ball of a puppy walking around the kitchen. I remember being like “whaaaaat?”. I also remember my older sister Demi who was about seven, wanting to call her Fluffy and when Mum said she’s called Ash, bawling her eyes out and running to her room haha! I actually don’t think I have one! At the moment I keep going towards blush pinks, mustard and yellows. But this usually changes! Walk into Starbucks. What do you order? I’m usually just a Caramel Latte, but if I’m feeling fancy I’ll maybe get a Frappuccino! What’s your favourite autumn fashion trend at the moment? I don’t know if this is necessarily a trend, but I love that corduroy is back and I can find it in anything! Cord jacket? Yes please. Cord trousers? Sure! Cord baker boy hat? I’ll take it! I also love the layering I’ve been seeing people wear. I feel like I’m not stylish enough to layer clothes without making myself look like a massive marshmallow, but I admire people who can make it look so cool! I actually have two! But I’ll only say one because feel like I’m exposing myself by giving out my entire name haha! It’s Charlie! Favourite all time “cheap” shop and “expensive” shop? I can almost 100% always walk into Primark and come out with something I love, or at least mentally put a few things on my Wishlist! I also love Monki for their cheap and cute tees! Bershka can also have some pretty cheap t-shirts! In regards to expensive shop, I don’t tend to splurge on clothes. I find that I’m constantly changing what I want to wear so I never commit to a really expensive piece which wouldn’t get it’s wear. If I’m ever to spend money on something, it would usually be shoes that I know I’ll get the wear out of! Thank you so much to everyone who asked me questions!